Big news out of the parent company today, as Manchester City announced that it had acquired another foreign club, this time in Australia's A-League. Melbourne Heart FC joins NYCFC as overseas sister clubs to Man City. The structure seems to be the same as the NYCFC deal; Man City takes an 80% stake in the club, with a local partner taking up the remaining 20%. As in the case with the Yankees, their partner in Melbourne Hearts is another sporting group, the Rugby League Melbourne Storm. Unlike NYCFC, which is currently being built from the ground up, this acquisition is a takeover of a currently existing club. It was added to the A-League as an expansion franchise in 2010 as the second of two clubs in Melbourne after Melbourne Victory FC, which was a founding member of the league in 2005. They are currently playing in their fourth season in the league (the A-League, like most of the world, plays a winter schedule). 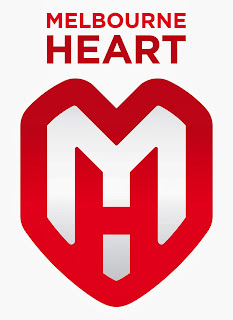 1000hrs - 23 January 2014, Melbourne: A consortium led by Manchester City Football Club has acquired Melbourne Heart FC effective immediately. The consortium also includes the ownership group of the Melbourne Storm as minority shareholders with a 20 percent stake. Ferran Soriano, CEO of Manchester City, said: "We are excited about the opportunity to make Melbourne Heart one of the most successful football clubs in Australia and throughout the region. We believe the strong sports culture of Melbourne combined with the football and commercial expertise within our consortium will make for a powerful combination both on and off the pitch". Bart Campbell, Chairman of the holding company Heart Consortium Group and Chairman of the Melbourne Storm NRL side, said: "Partnering with City to co-invest in Melbourne Heart will further strengthen the sporting landscape in one of the world's greatest cities and bring a range of new capabilities to AAMI Park. We are excited to be a part of this unique project. It is our shared ambition to replicate the model that City created with the New York Yankees around New York City FC and for both organisations to benefit as a result". He added: "We are grateful to Peter Sidwell and his Board for creating a Club with such obvious strengths and potential." Speaking on behalf of the exiting Board of Melbourne Heart FC, Chairman Peter Sidwell said, "The Board feels that with the successful establishment and evolution of the Club over the last four years, Melbourne Heart now stands on sound commercial and financial foundations. The Board feels that the next phase of the club's development can be most fully realised with this new investment and the associated benefits that the enthusiasm of the consortium will bring". 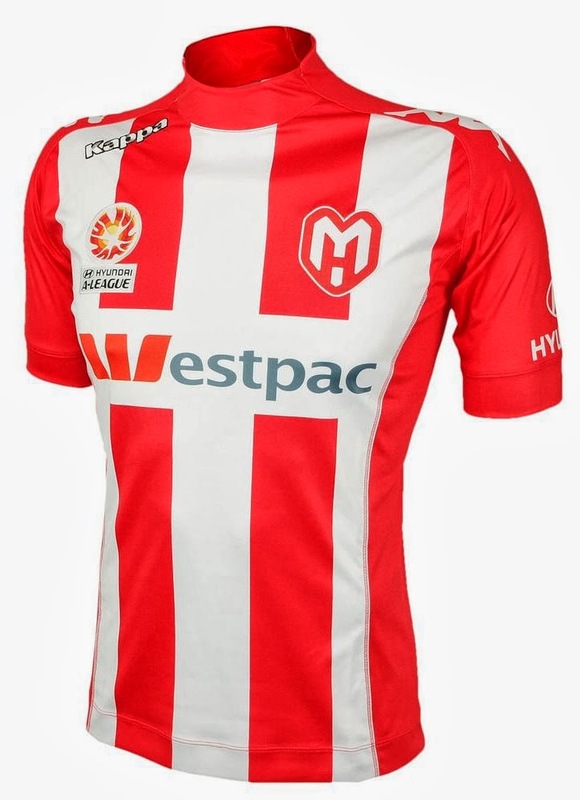 FFA CEO David Gallop said the acquisition of the Melbourne Heart licence was a huge vote of confidence in the future of the Hyundai A-League. "Football has moved into the mainstream of Australian sport and is ideally placed to benefit from the boom in football across Asia," said Gallop. "Manchester City and their Australian partners have made a strategic investment and I welcome them to our growing competition. It's another sign that the world is taking notice of Australian football. "Manchester City and their partners will bring a high level of expertise in football and sports business matters and that can only strengthen the Melbourne Heart and the Hyundai A-League as a whole." Regarding its plans for the Club, Ferran Soriano stated: "The first thing we must do is take the time to listen and learn and then to develop our strategy for strengthening the Club over time." Out of respect for the coaching staff and the players in the middle of the A-League season, the new ownership group will not be making any major announcements until mid-2014. Manchester City's investment in Melbourne Heart FC follows its establishment of New York City Football Club in May 2013, which will enter Major League Soccer in the United States in the 2015 season, and its establishment of Manchester City Women's Football Club, that will play in 2014. In support of this expansion, City has significantly boosted its resources in scouting, coaching, human performance, football tactics and other football capabilities, most notably through its landmark City Football Academy (CFA) in Manchester, UK. Due to open in 2014, the CFA will transform the organisation's training and youth development capabilities and help it to attract the world's most promising footballers both now and in the future. There have already been rumors that Heart will be renamed "Melbourne City FC" in line with both Man City and NYCFC, but I'm not aware that the club has made any actual statements or even hints in that direction. I also can't help but wonder what sort of branding Man City has in mind for its new sister club. Could we see some sort of unified club brand across all three continents? We don't even yet know what NYCFC's crest and colors will look like, although most fans are speculating that they will retain the double-blue that have defined the club since the expansion announcement last May. If we are indeed to see the NYCFC crest in the next few weeks, that might give us a clue to their plans for Heart. Melbourne Heart currently plays in red and white stripes, so a transition to City sky blue would represent a major shift, along the lines of the MetroStars/Red Bull corporate rebranding that infuriated so many New Jersey soccer fans in 2006. The furor there was short-lived, and I'm not aware of any significant defection; the fans, while upset, stayed with their club even after it abandoned the traditional name and colors. Perhaps they're counting on a similar reaction from the Heart faithful. 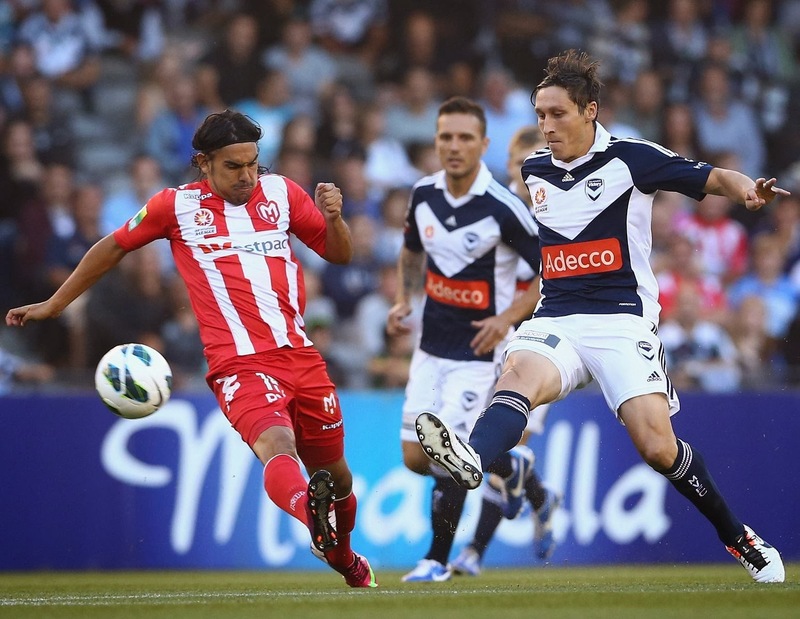 The Melbourne Derby would also lose its dynamic red/blue divide, as Melbourne Victory play in navy. There's something wonderful about a clear color dichotomy in local derbies, be it Everton/Liverpool, Man United/Man City, Arsenal/Chelsea and (we presume) the Red Bulls and NYCFC. Kind of a shame to lose one. As for the players in those shirts, that's where our local club enters the picture. If players are to come on loan from Manchester to develop in New York, as is widely speculated, would it then follow that players from New York would be sent "down the system" to Melbourne? If, as its detractors suggest, NYCFC is the triple-A farm club, would Heart be double-A? The City Football Academy would train each man in the City Way and he could develop his craft in the various leagues. Manchester City just might be creating something new in football, an international family of clubs spanning the globe with a shared academy and linked by ownership, by philosophy, and maybe even by players and branding. It's an ambitious undertaking. We know that MLS Commissioner Don Garber supports and encourages European involvement in his league, so he must be smiling today.